Katie cured her chronic constipation and sinusitis with a plant-based diet. Long-time meal plan subscriber Katie shares with Lindsay how she cured her chronic constipation and sinusitis by switching to a plant-based diet. Tune in to this episode of the Meal Mentor Podcast to hear more about Katie's seven-year-long transition, how she lost 12 pounds with diet alone, and how is helping her family make better decisions. What ingredient did Katie eliminate in order to lose 12 pounds? Is there a difference between fiber-fortified foods and naturally fibrous foods? Katie shares her number one tip for being an example to others. How do the meal plans help Katie at work? 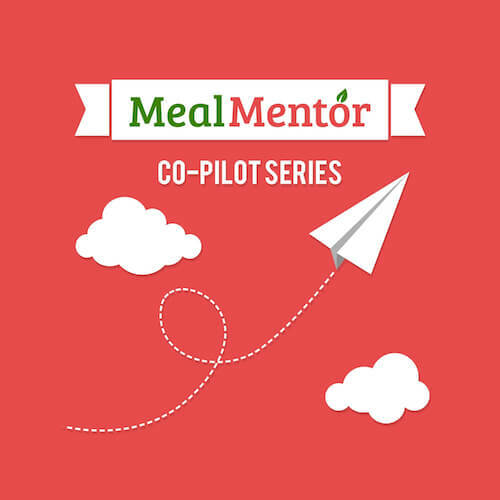 Connect with us at Meal Mentor for additional support and weekly meal plans. Episode 8: Rebecca talks about plant-based parenting, kids, and losing over 150lbs. On this episode of the Meal Mentor podcast, Lindsay chats with longtime member, Rebecca! Lindsay chats with her husband Scott and assistant Carly about the power of words! Lindsay sits down with Marla to talk about body image, the danger of comparing ourselves to others, and how she stays positive despite working in Hollywood.